Taken 8-23-03 at 3PM and 3:36 PM. Note in both photos that the wings of the Winged Globe keep their angle, as does the occulted body and the tail feathers streaming to upper right. Lens flares move from photo to photo, these do not. Note also that all the flares in the first photo are oblong! 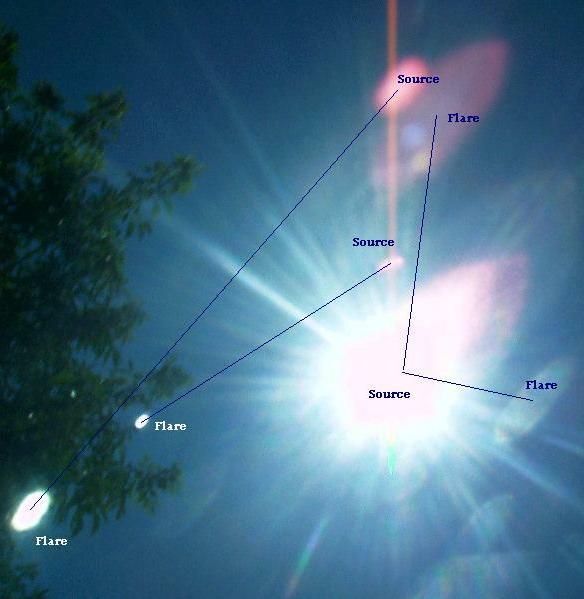 A flare reflects the original shape being reflected. Note also more than one source for a flare. 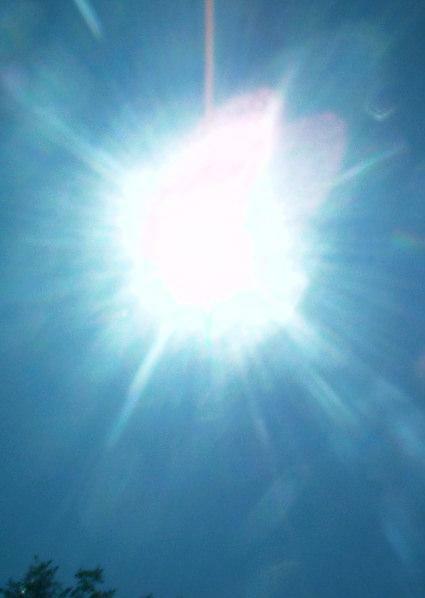 The flare centers on a real object, reflecting this, not another flare.